Current Newfoundland Time now in Canada. NST time now in Canada. 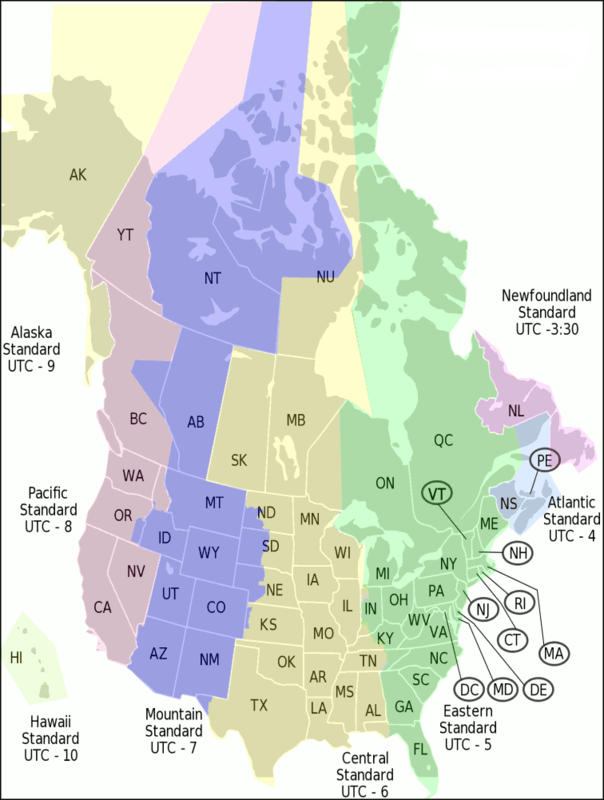 Time Zones in Canada and U.S.A.
Newfoundland Time Zone refers to a time zone where three and a half hours are subtracted from the Greenwich Mean Time, that is GMT -3:30. This is also called Newfoundland Standard Time. The clock time in this zone is based on the mean solar time of 52°30' west of the Greenwich Observatory. Newfoundland Daylight Time is in use during the spring, summer and autumn months, when daylight saving time is observed. During this time period two and a half hours are subtracted from the Greenwich Mean Time, this is GMT -2:30. Newfoundland Time is used only in Canada, and there only by the province of Newfoundland and Labrador. Officially, the entire province is in the Newfoundland Time Zone by legislation. In practice, however, it is observed only on the island of Newfoundland, its offshore islands, and southeastern Labrador communities south of Black Tickle. The rest of Labrador, from Cartwright north and west, observes Atlantic Standard/Daylight Time. Southeastern Labrador prefers Newfoundland Time in part to synchronize with the schedule of radio broadcasts from Newfoundland. This time zone exists because of the location of the island and the fact that it was a separate dominion when the time zones were established.